Jason T. Downer, Ph.D., is a Senior Research Scientist at the Center for Advanced Study in Teaching and Learning (CASTL) at the University of Virginia, Charlottesville. A clinical psychologist, his work focuses on the identification and understanding of contextual and relational contributors to young children's early achievement and social competence. Specifically, he is interested in the role of fathers in young children's early learning, as well as the development of observational methods to capture valid, reliable estimates of teacher-child interactions in prek-elementary classrooms. 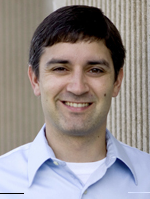 Given his clinical training, Dr. Downer also has a keen interest in translating research-to-practice through school-based, classroom-focused interventions; for example, he has played a key role in the development of MyTeachingPartner, an observation-based consultation approach to in-service professional development for early childhood education teachers. Leslie M. Booren, M.A., is a Researcher at the Center for Advanced Study in Teaching and Learning (CASTL) at the University of Virginia, Charlottesville. She has coordinated and worked on multiple research projects through the Institute of Child Development at University of Minnesota and at Washington State University, including being the Principal Investigator for two studies on adolescent violence. Her teaching and research has focused on child/youth development with an emphasis on school violence, relational aggression and adolescent sports involvement. She received her bachelor's degree from the University of Minnesota Honors Program in Psychology and Youth Studies, and her masters from Washington State University in Human Development. 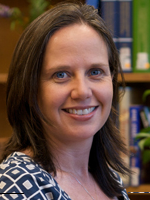 Bridget K. Hamre, Ph.D., is a Senior Research Scientist at the Center for Advanced Study in Teaching and Learning (CASTL) at the University of Virginia, Charlottesville. Dr. Hamre received her bachelor's degree from the University of California, Berkeley and her masters and doctorate in clinical and school psychology from the University of Virginia. Dr. Hamre's areas of expertise include student-teacher relationships and classroom processes that promote positive academic and social development for young children, and she has authored numerous peer-reviewed manuscripts on these topics. She leads efforts to use the CLASS as an assessment, accountability, and professional development tool in early childhood and other educational settings. She has recently worked with leaders in several states to implement CLASS as a tool to enhance teacher-child interactions through Quality Rating Systems. Dr. Hamre is currently a Co-PI on the National Center for Research in Early Childhood Education and is leading the implementation of the major research component of the center. 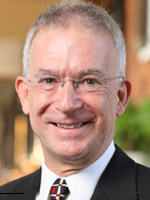 Robert C. Pianta, Ph.D., is Dean of the Curry School of Education, and Novartis U.S. Foundation Professor of Education at the University of Virginia, Charlottesville. He also serves as the Director for both the National Center for Research in Early Childhood Education and the Center for Advanced Study of Teaching and Learning. 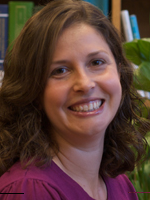 Dr. Pianta's work has focused on the predictors of child outcomes and school readiness, particularly adult-child relationships, and the transition to kindergarten. His recent work has focused on understanding the nature of teacher-child interactions, classroom quality, and child competence, through standardized observational assessment. Dr. Pianta has conducted research on professional development, both at the pre-service and in-service levels. He has published more than 300 scholarly papers and is lead author on several influential books related to early childhood and elementary education. He has recently begun work to develop a preschool mathematics curriculum, incorporating a web-based teacher support component. Dr. Pianta received a B.S. and a M.A. in Special Education from the University of Connecticut, and a Ph.D. in Psychology from the University of Minnesota, and began his career as a special education teacher. 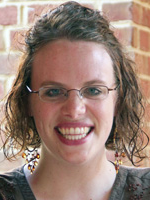 Amanda Williford, Ph.D., is a Senior Research Scientist at the Center for Advanced Study in Teaching and Learning (CASTL) at the University of Virginia, Charlottesville. Her research focuses on developmental trajectories of externalizing behavior problems, factors that predict stability of externalizing behavior, transition to kindergarten in at-risk populations, and community-based early intervention. As a clinical-child psychologist, Dr. Williford has extensive training and knowledge of assessment and treatment of young children (0-5 years), particularly early childhood mental health consultation childcare, preschool, and kindergarten settings.